The Indian U19 team will be participating in the ICC U19 World Cup 2018 in New Zealand, scheduled to start from January 13. 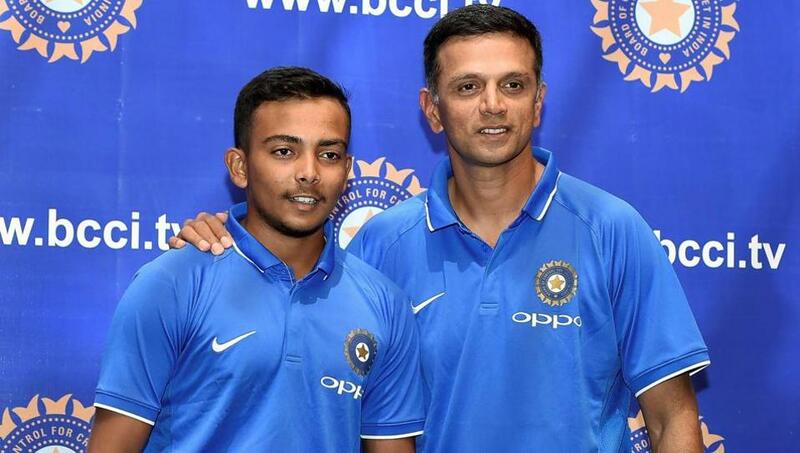 Team India is led by Mumbai’s Prithvi Shaw and coached by Indian stalwart Rahul Dravid. India has won the tournament thrice in 2000, 2008 and 2012 and is the joint most times winners with Australia. The current Indian team will start their journey in the tournament against Australia U19 on January 14. On the eve of the start of the ICC U19 World Cup 2018, the members of the Indian U19 team decided to send a message to their friends, fans, and family and asked them to bless them and wish them well for the tournament. Prithvi Shaw, Abhishek Sharma, Ishan Porel and Riyan Parag recorded a video message, which was uploaded by the ICC on the official U19 World Cup Twitter handle.